Although the A65 is made-up completely of plastic it feels very solid. The handgrip is a good size for medium-sized hands to wrap around with indentations for each finger, though it could feel smallish for some. The non-slip rubber material that the grip is made-off is quite nice and provides a good hold. The positioning of buttons and ports seems, at first look, well thought and laid out. The camera is a rather curvy black affair. There’s a red ‘Alpha’ logo on the front and a red metallic rim around the lens mount. The camera’s size and weight is comparable to the Canon EOS Rebel T3i (600D). The high resolution OLED EVF is one of the key selling points of the A65. Sony managed to fit 2359k (1,024 x 768 x 3 sub-pixels) dots on a 0.5-inch OLED panel (more detail on the technology here), and let me just say that it’s fantastic. 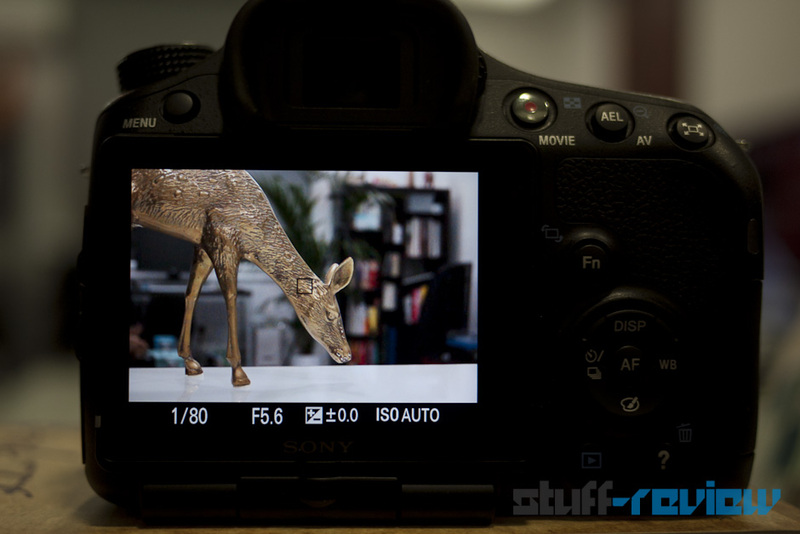 This is by far the best EVF we’ve ever put our eyes on. 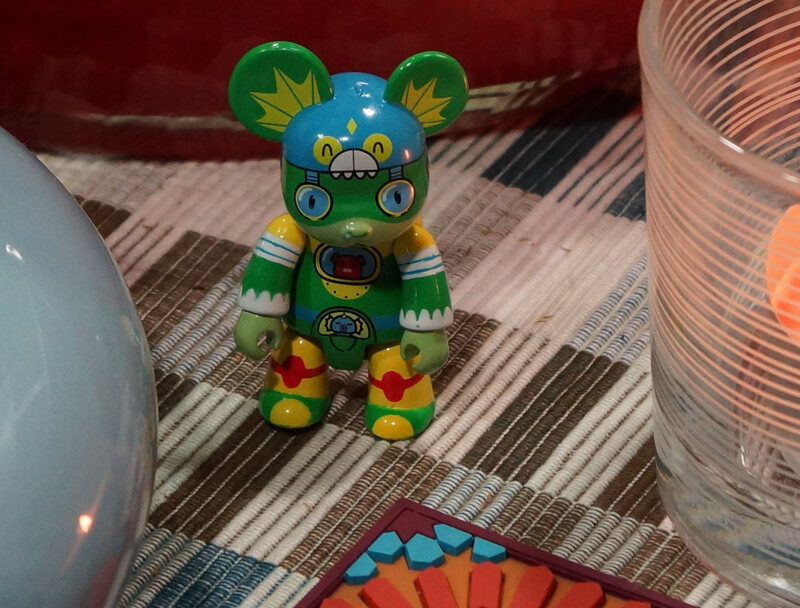 Images are very sharp and bright, color rendition is accurate, contrast is great, and it’s large enough that you can easily focus manually through it. The same OLED EVF is shared with the more expensive Alpha A77 (you can check out how the two cameras, the A65 and A77 compare in terms of specs here). 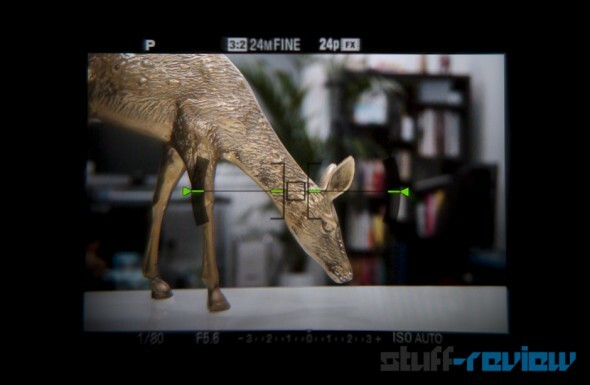 The image below is our attempt to convey the resolution of the EVF, which doesn’t really make it justice. Note that the banding at the bottom right and the miss-focus of the information display were just a result of macro-shooting through the EVF opening. Though we haven’t had enough time to put the camera through its paces, we’ll lay out our initial findings. First of all the camera is fast. 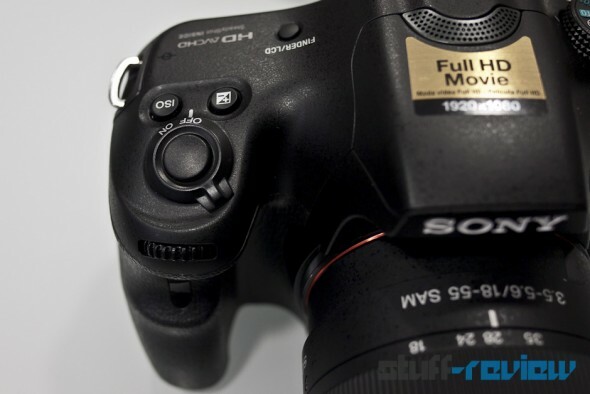 It turns on almost instantaneously and the phase-detection autofocus (AF) is fast and accurate. We’ve also tested the 10 frames per second full-time phase-detection AF burst mode and it is machine-gun fast. And here comes our first gripe about the camera. The sensor is noisy. We’ve taken a couple of shots from ISO 100 to 12,800, and noise starts creeping in from ISO 800, while it takes over from ISO 3,200 and above. 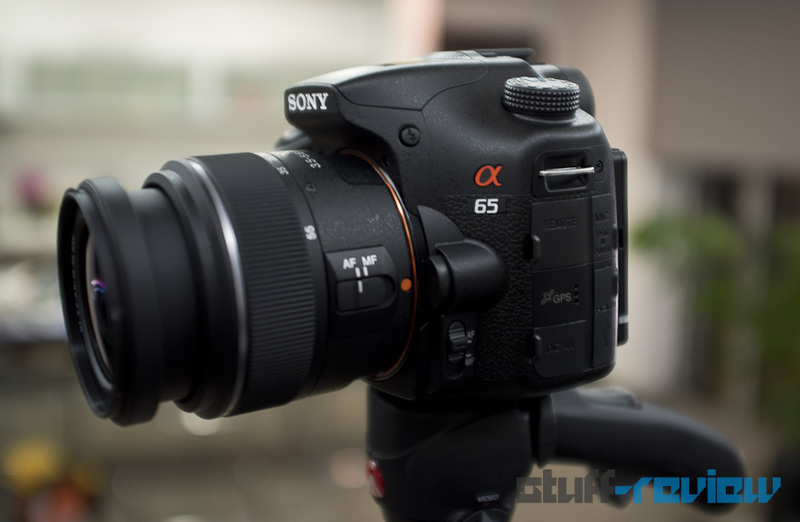 Both the Sony A65 and A77 feature a new 24.3-megapixel APS-C Exmor HD CMOS sensor. It’s unique for an APS-C sensor to pack so many pixels and it seems that Sony is betting on you resizing the resulting humongous images and hence making noise non-visible. In all cases, noise is there, though again these are just our initial findings. Below you’ll find a set of images which are 100% crops of JPEG files straight from the camera at ISOs 200, 800 and 3,200 — note you can click on each image to enlarge or right-click and select ‘save link’ to download the full-sized image. We would have liked to also include a video sample but we haven’t had time to try out the extensive video functions of the camera. The A65 can shoot full HD 1080p60 AVCHD at 28Mbps and 1080p24 at 24Mbps. The kit 18-55mm F3.5-5.6 SAM lens is noisy while focusing, and a lot of that noise is picked up by the built-in stereo microphone. Well that’s it for now from us, let us know in your comments on anything you’d like us to touch on regarding the A65. 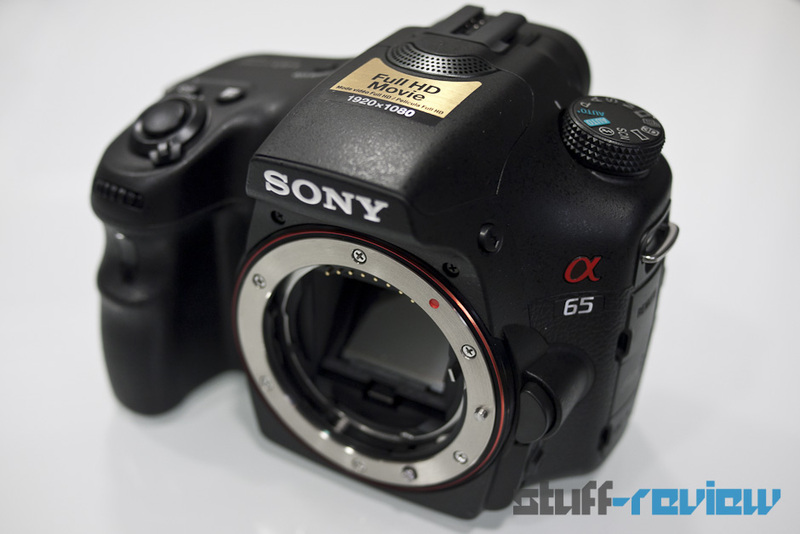 UPDATE: Sony Alpha A65 in-camera JPEG vs. RAW high ISO image quality test.